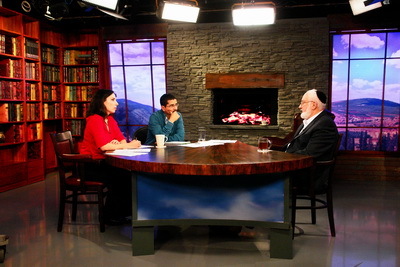 Ppl are egoists and hate #Kabbalah, because it’s meant to destroy our egoistic nature. This is why a Kabbalist in the early stages sometimes hates Kabbalah and Kabbalists, and wishes to harm them. And whoever studied and then left Kabbalah remains envious and hates it manifold. Creation began with the creation of the perfect state of Adam in #Eden. Then was the descent to our world, and the ascent along 125 degrees to original state—to spark & desire to ascend. Hence, the states being revealed are compulsory—the only choice is in overcoming them. I know socialism firsthand. Here’s a lesson on human nature and our desire for a better society. More millennial Americans are fed up with capitalism, and would prefer to live in a socialist country. 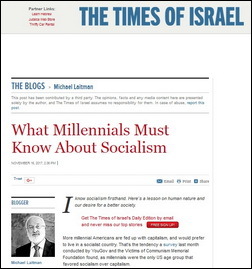 That’s the tendency a survey last month conducted by YouGov and the Victims of Communism Memorial Foundation found, as millennials were the only US age group that favored socialism over capitalism. Moreover, as Maggy Donaldson pointed out, in the past year the Democratic Socialists of America became the fastest growing US political group, nearly quintupling their membership from 6,500 to 30,000, as their median age group also shifted from 60 to 35. The reason for American millennials’ attraction to socialism seems clear: facing rising student debts and higher rents, together with stagnant wages and job insecurity, the idea of socialism surfaces to potentially resolve these stresses, offering instead systems subsidizing their every need. Over the past three or so decades, there has been a significant shift in the tectonic plates underlying human development. The Baby Boomer “American Dream” spirit evolved into a fundamentally different millennial one: while the Baby Boomer strove for tomorrow’s prosperity, the millennial settles for today’s convenience. Possessions we used to save up for and wait to buy are now available the moment after we think about them. Our desire to be publicly recognized and admired no longer needs to pass the approval of specialists or industry executives, but can be fulfilled one social media post at a time. Also, “smart” today isn’t about memorizing and recalling information, like we once incessantly trained and tested ourselves on. Rather, our tech devices are the “smart” ones, and it’s about how well we use them to find what we need, when we need it. That’s the unique socio-economic paradox of the millennial generation: working long and hard is no longer to achieve luxuries, but necessities. Through technological developments, we’ve made the fruits of wealth, public admiration and knowledge readily available and struggle-free. Yet, today’s millennial struggle is to keep up with the costs of food, housing, education, healthcare and childcare. When I lived in Russia, I experienced “Russian socialism” firsthand. On the outset, it appears to have the solutions American millennials seek. The government unloads the weight from the people’s shoulders, taking care of their basic infrastructure: everyone works, get taxed similarly, and gets free or affordable food, housing, education, transportation, healthcare and childcare. Where, then, did such socialism fall short? It didn’t take human nature, the fundamental need to fulfill oneself before any other person, into account. People don’t want to live their lives to benefit other people. Any surplus effort one makes within a socialist system sees no direct surplus reward. Even if we would be better off in a communal society, we wouldn’t be able to give up on our individualistic approach. Our very nature won’t let us. Thus, people lack the motivation to truly benefit each other. The Soviet approach to this problem was to force this communal system onto the people and expect them to be happy. But then, even its enforcers relied on the same motivation, and the system imploded with horrendous violence and suffering. Yehuda Ashlag’s article “The Peace,” written in the 1930s, is just as relevant today in describing the nature of socialism, and the fundamental problem of motivation that needs to be solved in order for socialism to work. ‘Where would the worker or the farmer find sufficient motivation to work?’ For his daily bread will not increase or decrease by his efforts, and there are no goals or rewards before him. “It is well known to researchers of nature that one cannot perform even the slightest movement without motivation, without somehow benefiting oneself. “When, for example, one moves one’s hand from the chair to the table, it is because one thinks that by putting his hand on the table he will enjoy it more. If he did not think so, he would leave his hand on the chair for the rest of his life without moving it at all. It is all the more so with greater efforts. What is this “fuel” that is imperative for socialism to work? It is in people wanting to benefit other people. For socialism to work in the long term, people need to be organically motivated to contribute to society, wishing to see everyone in society become happy and secure. This is not the desire that motivates people naturally. Rather, it exists in potential. Everyone agrees in theory with ideas of equality, altruism, mutual consideration and kindness, but in practice, we continually resort to treating our personal benefit with primacy. These ideas cannot be forced, but they can be learned. Through connection-enriching educational programs, we can learn how to better identify, magnify and grow ideas of equality, altruism, and mutual consideration into a new social construct: an integrative social circuitry that flows with positive signals of those values. I believe the most pragmatic initiation of such learning en masse can start with our children. By focusing our concern on how we can raise the next generation to be better socially connected, we adults would also be influenced positively by this process: it would motivate us to improve our own social conditions, as well as those for the future society. We would thus create the beginnings of a supportive environment for connective ideals to blossom into a practical, workable form. It is my hope that we could spark such a process in society. The time has come to refill our fuel tank with a whole new kind of motivation, and find meaning, happiness and confidence in our cultivation of a positively connected human society. I also very much hope to see the activation of political and social organizations that will emphasize connection-enriching education of ourselves and the young generation as a launch pad for a better world. Is Eternity Attained On Earth? Remark: They say that a person who remains in history has found eternity. Indeed, for example, such people as Plato or Spinoza have been dead for a long time, but we remember their names. My Comment: What does it mean—eternity? Material reality is just an illusion; it does not exist. Our world will exist until we reach the upper world. As soon as humanity begins to rise in its mass to the spiritual world, our world will evaporate, dissolve as in fog, and cease to exist. You will understand this when entering the ladder of attaining the upper worlds. Remaining in our world, you will see that this really has to happen—our material world will evaporate in the future because it exists only in our sensations. Remark: But meanwhile people are making every effort to somehow leave their mark in history, in any form.